6th Mo Volunteer Infantry, Co. C.
So you’ve checked with the microfilm, M860, General Index to Compiled Military Service Records of Revolutionary War Soldiers, and M881, Compiled Service Records of Soldiers Who Served in the American Army During the Revolutionary War. 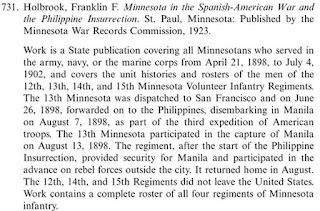 And, your ancestor is listed as having served in the Spanish American War (1898) or Philippine Insurrection (1899 - 1902). 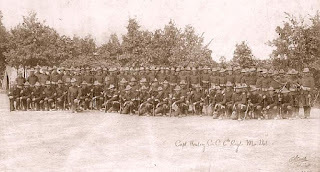 In many cases soldiers were called up from the National Guard to serve in this war. So you will want to begin with the Adjutant General’s records for the states of enlistment (and discharge if different state). Many of these records are no longer housed at the Adjutant General’s Office but one key to a successful search is knowing your ancestor’s specific infantry, regiment and company. Hathi Trust collection which includes additional states. Adjutant General’s Office for hints on archival locations. 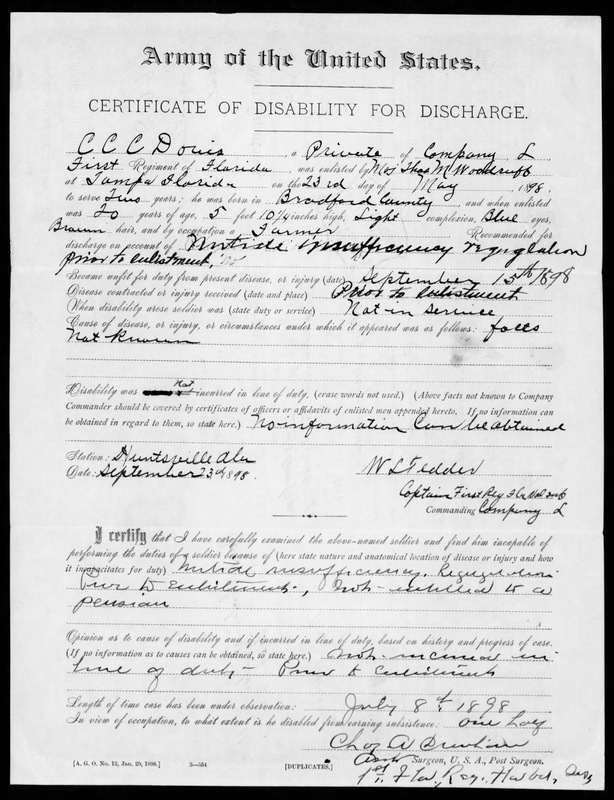 If your ancestor lived past 1922, a veteran, widow or dependent pension application file may be included. 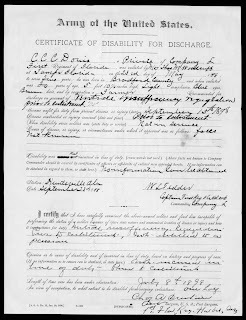 Review NARA, RG 15.7.3 Pension application files based upon service in the Civil War and Spanish-American War("Civil War and Later"). Here's a bit of information that may give you a lead. 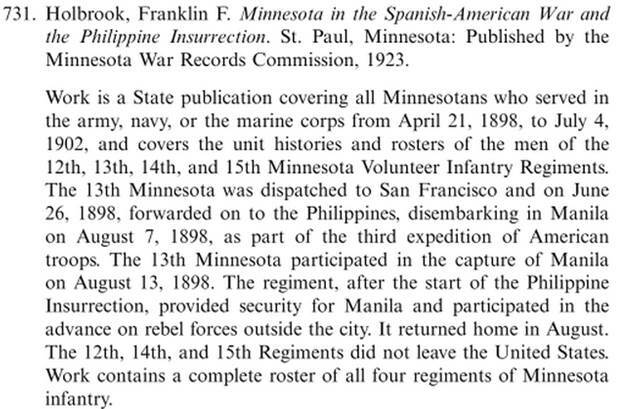 The Spanish-American War and Philippine Insurrection, 1898-1902 by Mark Barnes is our go-to book on this topic: Be sure to check the bibliography for hints to where author got information. Some state archives hold volumes of textural (not microfilmed) Spanish American War records. New Jersey State archives “has 122 volumes of Spanish-American War records.” For an easy access to these records, be sure to reference familysearch.org catalog for your ancestor’s state. Where as Kansas Spanish-American War and Philippine Insurrection records may be found at the Kansas Historical Society. Have you reviewed the Spanish American War Centennial Website? This site is great for battle reports and accounts, and gravesite recordings. The Unit Profiles, Rosters, and Photos have proven to lead researchers to bringing down brickwalls.